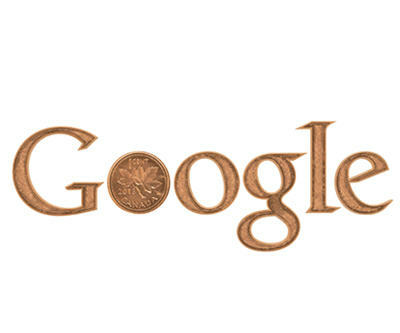 On the last day of official circulation Monday, Google celebrated the passing of the Canadian penny with an animated doodle. The illustration replaces the first 'o' with a penny that spins around to show the Maple Leaf on one side and Queen Elizabeth on the other. The penny — nicknamed a "copper"— is being retired because it costs 1.6 cents to mint. Prior to 1997, the penny was made with 95% to 98% copper. Since 2000,the coin has been made mostly of steel with a 4.5% copper plating. The Royal Canadian Mint is offering its own memorial — the last million circulation pennies are available to order in special commemorative wrapped rolls of 50 pennies for $9.95.